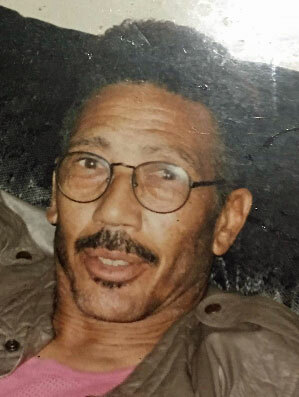 Joe Lavance Smith age 74, transitioned from his earthly life to eternal life on Sunday 17th of March 2019 in Las Vegas, NV. He was born on 23 January 1945 in Hermitage, AR to the late Edward Smith and Odessa Burns Smith. Joe professed his life to the Lord at an early age. After High school, he served his country by joining the Army in August 1965, HHC, 2ND BDE, 8th INF Div. 7th US Army. His work career included a stellar performance as a Mountain Bell employee, he spent much time fishing, traveling, and serving others. His proudest moments were the opportunities he spent with his children, grand and great grandchildren. Joe was a rare combination of life and a firm understanding of what was important – the simplicity of living a life with those you love. He leaves to mourn his brother Richard M. Smith and sister Julie Smith-Pleasant of Las Vegas, NV. His Children; LaNea (Calvin) Patterson, Brina (Esther) Smith, Venus (Cedric) Williams, Joe L. Smith Jr, Dana Komro (Andy Teleford), Carlos Smith, and Sheara (Alicia) Owens. Grand Children: Nino, David, Antonio, Marcus, Jassmine, Javaugh, Cedric Jr, Tivon, Jodi, Kareem, Cecilia, Kayla, Nina, Joi, Eamillion, Philip, D’Angelo, Aubriee, Paris, Alexis, Arial, and Carlos Jr.
Great Grandchildren; David, Antonio, Jazlyn, Olivia, Dimitrius, Faith, Lexxi, and Jaylen.